Works with both inkjet and laser printers. Create labels with manufacturer's online templates and software. Works with both inkjet and laser printers. 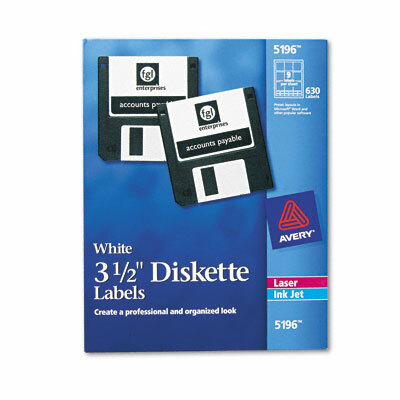 Create labels for all your diskettes with easy-to-use Avery® online templates and software. 8-1/2 x 11 sheets.